Manufacturer of a wide range of products which include pre painted galvalume coils. 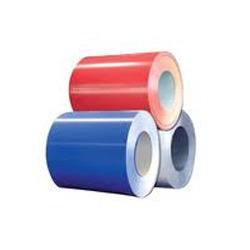 We are trader and Supplier of good quality Pre Painted Galvalume (PPGL) Coils And Sheets. Our range of Pre Painted Galvalume Coils and Sheets Coils is highly demanded among the clients owing to its high strength and superior performance. Avail these PPGL Coils at affordable prices.